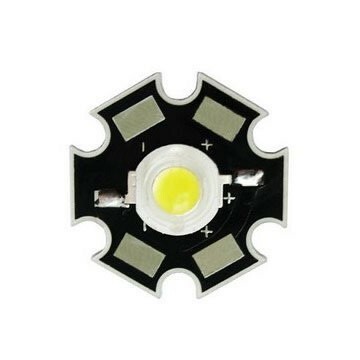 Generally the ordinary LEDs require only 20-30 mA current to get good brightness. 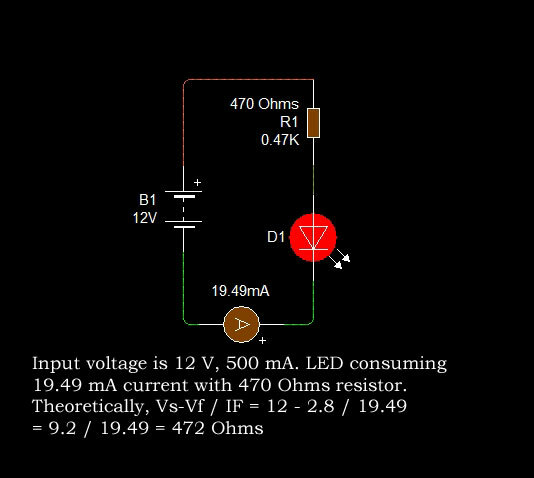 But 3.6 V LED requires high current more than 100 mA. 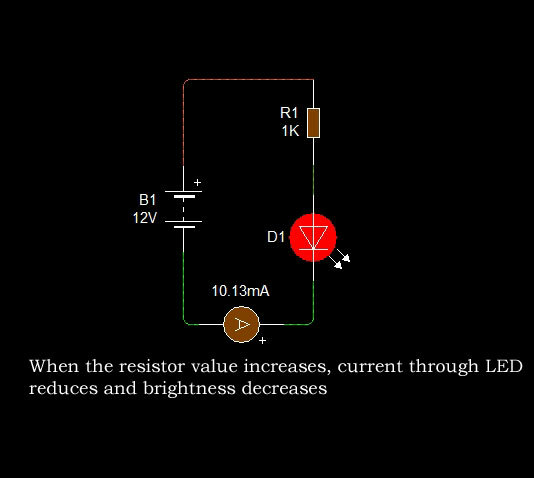 So when we use it in 4 volt battery, very low value resistor is needed. 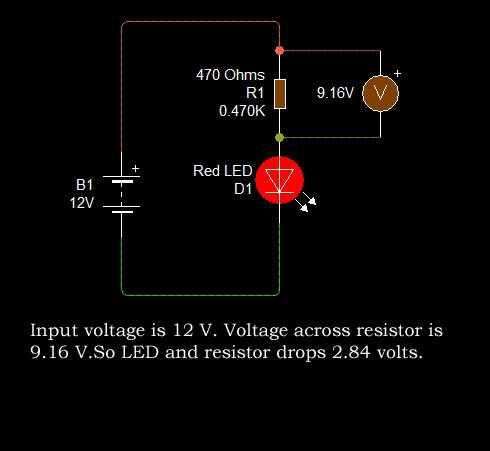 Select the resistor as per the formula. Vs is the battery voltage, Vf is the Forward voltage of 1 watt LED, If is the current required to pass through LED to get moderate to maximum brightness. Current fixed through LED = 40 mA. If the current through LED is more than 85 mA, it needs a good Heat sink to dissipate heat. If the current is more than 140 mA, life of LED reduces and generates lot of heat. 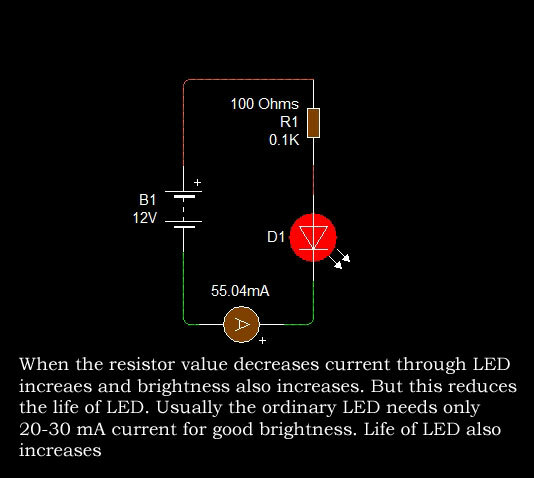 So it is better to fix LED current between 102 mA to 140 mA for good brightness as well as long life of LED.